A general meeting can be called by the Chairperson and officers of the Commission. There is no limit on the matters that can be discussed and/or decided upon at an extraordinary general meeting. At least 90 days notice is required before any general meeting (AGM) of the Commission. The members of the Commission will elect from within the group a Treasurer. The quorum of the Commission shall be half the group plus one. Any Commission member who misses three consecutive meetings without just cause will automatically cease to be a member of the Commission. (a)Complaints involving children and all other complaints on the basis that the duty of care to a child is greater than to an adult. (a)A person subject to a complaint has the right to a statement of the complaint and to know the identity of the person(s) making the complaint. (b)A person making a complaint is entitled to the care of the Women’s Commission in respect of the complaint and to be protected from victimization. (c)At hearings conducted as part of the grievance procedure, parties to the procedure, are to be provided with the opportunity to be accompanied by a person. (d)The facts as established must provide a reasonable basis for any findings presented as to the existence and extent of any culpability. (e)Any disciplinary action decided on should be commensurate with the culpability found to exist. 3. Where the Committee of the Women’s Commission decides, by meeting formally or informally or by telephone conference or by other electronic or other means, that a complaint merits investigation by them, such investigation can take the following stages. (a)Informal stage. Typically verbal complaints of a relatively minor nature may be dealt with in this way. The Women’s Commission will appoint a person to attempt a party-to-party resolution with no written report submitted at the end of the process if the matter has been resolved to everyone’s satisfaction. (b)Formal stage. Where the informal stage fails to resolve a grievance/complaint or where the committee of the Women’s Commission decides a grievance/complaint is sufficiently serious to warrant it a formal investigation and hearing will take place according to the following template. 1. A document will be prepared, by the Secretary, stating the grievance/complaint. This document will include the name(s) of the complaintant(s) and the date the complaint was made. 3. The investigating body will then write, by post, to the person subject to the complaint, advising them that they are investigating the matter, and that they will meet with them and others to determine the facts of the case. This notice will also inform the person subject to the complaint, of the names of the persons who will investigate the complaint. 5. The chairman of the investigating body is entitled to determine any pre-hearing procedural or evidential matters without recourse to the other members of the investigating body but will report fully to his fellow members the results of his deliberations, this can include replacements to the original composition of the investigating body. 6. The investigating body is not bound to apply formal rules of evidence and is entitled to conduct its business and regulate the proceedings as it sees fit, as long as it complies with these regulations but is fair and just to all parties. 7. All parties attending such hearings are entitled to be accompanied by and/or represented by another person. 8. The investigating body may adjourn its meeting to enable appropriate information to be obtained, and may impose a reasonable time limit for the provision of such information. 9. The investigating body has the power to postpone or adjourn the hearing, but must act at all times to ensure a swift resolution of the complaint/grievance. 10. The parties involved will be afforded a proper opportunity to make representations to the investigating body and to call witnesses. 11. The investigating body will note any admissions by any of the parties. 12. The parties will be given the opportunity to question any witness through the chairman of the investigating body. 13. The decision of the investigating body will be made by at least a simple majority of the members. Where the investigating body is unable to come to a majority decision then the chairman of the investigating body will have a casting vote. 14. All hearings of the investigating body will be held in private. 15. At any hearing the absence of any party or witness will not, in itself, prevent the investigating body from hearing and determining the matter. 16. Once the investigating body has established the facts of the case it will meet to consider the facts. Having considered the facts they will then produce a report detailing their view of the grievance/complaint, arrived at from an examination of the facts. 18. The Committee of the Women’s Commission , will meet within 14 days of the receipt of the report and recommendations to consider them. The committee may apply the sanctions as recommended or increase or decrease the sanctions as they see fit. 19. The Committee of the Women’s Commission will write by post to the person subject to the complaint and notify them of the actions they have sanctioned. Any sanctions to be applied will be deferred for 21 days to allow the person subject to the complaint the opportunity to appeal the findings and/or the sanctions applied. 21. The appeal must be completed within 60 days of the notice of appeal being received by The Committee of the Women’s Commission . Otherwise the appeal will be deemed to be successful and no sanctions will be applied to the person subject to the complaint. 22. The appeal panel will consist of 3 people who were not involved in the investigation of the grievance/complaint. The appeal panel will be appointed by The Committee of the Women’s Commission. 23. The person subject to the complaint and the complainant(s)will be notified, by post, of the names of the members of the appeal panel. This notice will also specify a date and a place at which the appeal hearing will be heard (This requires a notice period of 21 days +2 postage days). This notice will also request the parties to provide any new evidence they may have which was not considered by the investigating body. 24. The appeal panel will consider the facts established by the investigating body, they will hear any new evidence from the complainant(s) and will give the person subject to the complaint an opportunity to present their case. Any objection to the composition of the investigating body must be made as soon as reasonably practical and in any event not later than 7 days before the hearing. In the event of an objection to the composition of the investigating body rule 5 above applies. 25. The chairman of the appeal panel is entitled to determine any pre-hearing procedural or evidential matters without recourse to the other members of the investigating body but will report fully to his fellow members the results of his deliberations. 26. The appeal panel may adjourn its meeting to enable appropriate information to be obtained and may impose a reasonable time limit for the provision of such information. 27. The appeal panel has the power to postpone or adjourn the hearing, but must act at all times to ensure a swift resolution of the complaint/grievance. 28. The decision of the appeal panel will be made by at least a simple majority of the members. Where the appeal panel is unable to come to a majority decision then the chairman of the appeal panel will have a casting vote. 29. All hearings of the appeal panel will be held in private. 30. At any hearing the absence of any party or witness will not, in itself, prevent the appeal panel from hearing and determining the matter. 31. The appeal panel will then prepare a report. It should note any factual inconsistencies or any new evidence. The report should conclude with a recommendation to The Committee of the Women’s Commission , detailing the sanctions they suggest should be applied. 32. The Committee of the Women’s Commission will meet within 14 days of the receipt of the report and recommendations to consider them. The Committee of the Women’s Commission, may apply the sanctions as recommended or decrease the sanctions as they see fit. 33. All correspondence referred to in the Disciplinary and Appeals Procedures shall be by registered post or equivalent. The role of the investigating body is to acknowledge, respond investigate and report their findings to the Committee of the Women’s Commission , They should establish the following points during their investigation. 1. Who received the complaint? Was the complaint verbal or written? What was the date of receipt of the complaint? 2. Who made the complaint? 3. What facts were supplied with the complaint? Supply a copy of the written complaint if it was submitted in writing. 4. What response did the person subject to the complaint make to the allegations? Did the person subject to the complaint provide any evidence to rebut the allegations? Supply copies of all material provided by the person subject to the complaint. 5. What additional enquiries were made? Supply copies of statements taken and copies of notes taken during interviews. 6. Was any other relevant information available? Complains may be lodged by all members of the Commission. They should be received in writing by the secretary of the Commission. The WC appeals committee should confirm or set aside or change any sanction imposed by the disciplinary committee. shall have power to co-opt further members to the Committee as required. meetings and Commission General Meetings; The Chairperson will be a voting officer; however in the event of an equality of votes, the Chairperson shall also cast the deciding vote. to members efficiently and expeditiously. The Secretary shall be one of the signatories (any one to sign) on the Commission’s bank account(s). The Secretary is also responsible for public relations. To be elected at a General meeting called by the Commission. 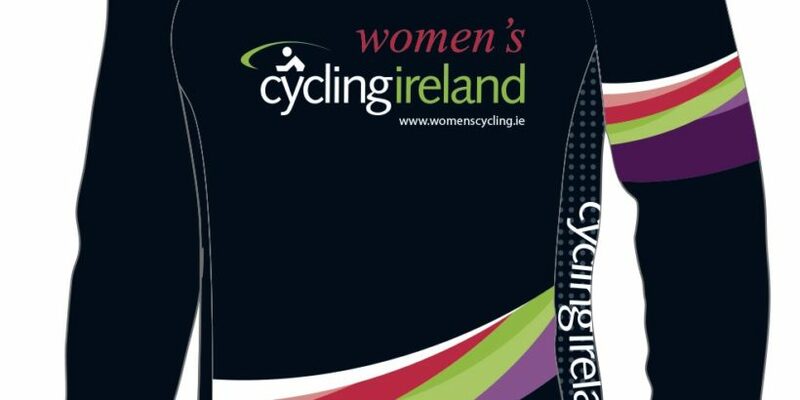 In the case of a vacancy arising in the term of the Chairperson, the Chairperson will be appointed by the Board of Cycling Ireland. The Chairperson will serve a two year term. In order to remove any Committee members (with the exception of the Chairman and Secretary) from office, an Extraordinary General Meeting shall be called. by a member duly qualified to vote at that meeting. General Meeting, and may also make written submission. remove the Committee Member from office. cent of the membership is present. The Commission shall hold an Annual General Meeting. to receive a report on the work of the Commission in the preceding year. to receive accounts for the preceding year. to elect the Officers of the Commission, the ordinary Committee members, and the members of the sub-committees. to consider any matter referred to them by the Committee. to reach members at least ninety days before the meeting is due to take place. Chairperson at the request of not less than twenty per cent of the members.